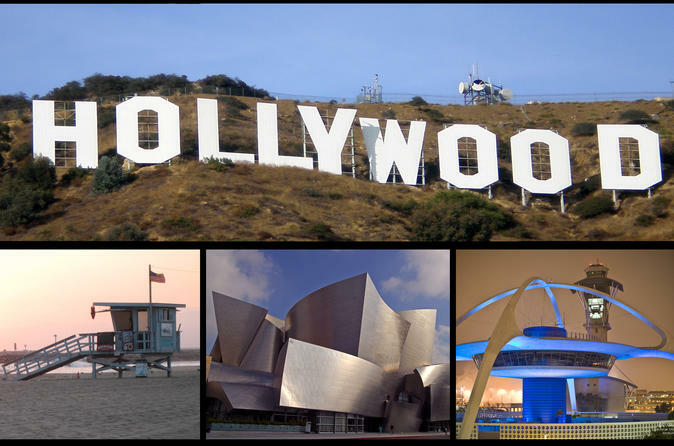 Private 8-hour tour covering the most important and fun hot-spots in Los Angeles like the Hollywood Sign, Walk of Fame, Sunset Strip, Movie Star Homes, Melrose Place, Beverly Hills, Rodeo Drive with stops for photos and meals. You will see all the major Hollywood Film Studios like Universal, Paramount, Sony, Fox Studios and TMZ up close with stops for photos, shopping and browsing. This is a one-of-a-kind Hollywood Experience with transportation included. A close-up photo-stop at the famous Hollywood Sign. Onto the star-studded Hollywood Walk of Fame. No trip to Hollywood would be complete without a stop at the famed Grumman’s Chinese Theater, where you can walk among the cemented hand-prints and footprints of movie stars from the past and present. Take time to stroll along Hollywood Blvd. and find the star of your favorite entertainer on the Hollywood Walk of Fame. See the Dolby Theater, home to the Academy Awards (The Oscars). Next, your tour will cruise along the storied Sunset Strip, where you will see the recognizable bars, restaurants and nightclubs that today's young and hot in Hollywood frequent all day and all night long. The tour continues West into the gorgeous neighborhoods of Beverly Hills , where you will be guided through our top selection of Movie Stars Homes and the famous Beverly Hills Sign. But it doesn’t stop there, you’ll see where the rich and famous spend their money at the world’s most exclusive boutique shops along Rodeo Drive. You will also tour Melrose Place, home of the hip and trendy shops including Dash, Baldwin, Fred Segal and more as this tour is a complete insider's tour of Hollywood. Next, we will tour the famous Hollywood Film Studios where we will make stops for photos and visit the unique shops for an insider's look at where Hollywood films are made. We will also tour the famed TMZ with stops at the CBS TV Studios & The Grove. This is a complete tour with an expert tour guide who will make your tour the most fun it can possibly be.